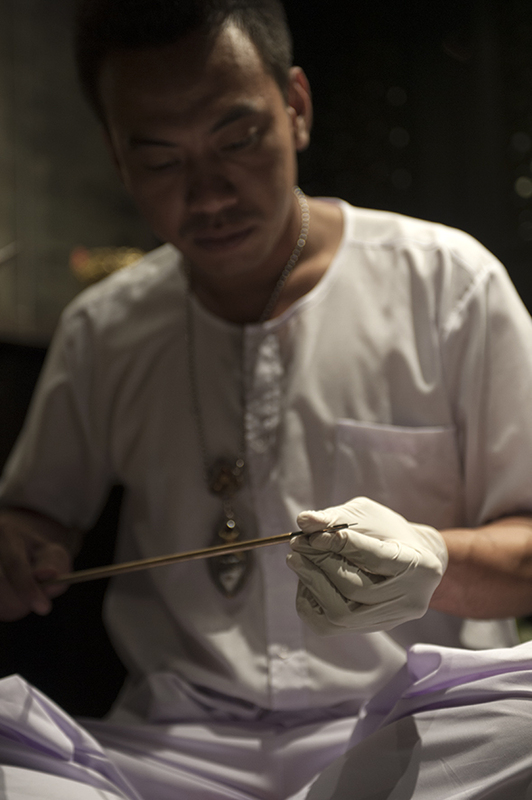 Sak Yant, the Thai tattooing of sacred designs, is respectfully offered at The Siam. Sak Yant, sacred Thai tattooing, has its origins in Tai tribes of southwestern China and northwestern Vietnam. The tattoo designs first took shape from beliefs in tribal animism. With the arrival of Hinduism and Buddhism to Southeast Asia, the designs started incorporating yantra or mystical diagram used in Dharmic religions. 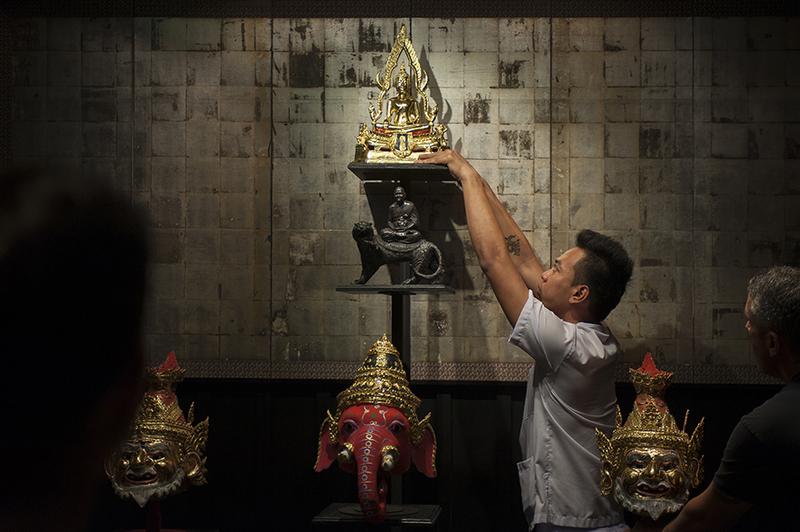 In Thailand, Sak Yant has become widely practiced, encouraged by a strong culture of superstition and spirituality. It is believed that anyone receiving Sak Yant will gain specific powers to aid or protect them depending on the tattoo design. 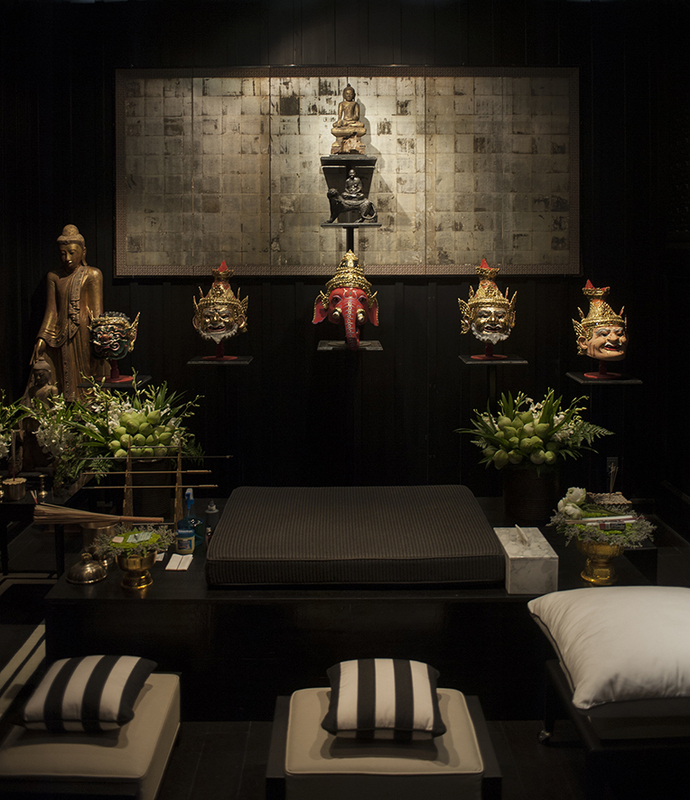 At The Siam, a tattoo master can help you receive your sacred ink. The tattoo design can range from simple to very complex. Zoomed out, Sak Yant looks like a combination of geometrical shapes, animals, and/or deities. But look closer and you will find Pali phrases. These words of power will vary depending on the request of those receiving tattoos. They can offer specific boons, such as charisma or luck, or protections from evil and misfortune. Whatever you choose, the tattoo master will help you figure it out. 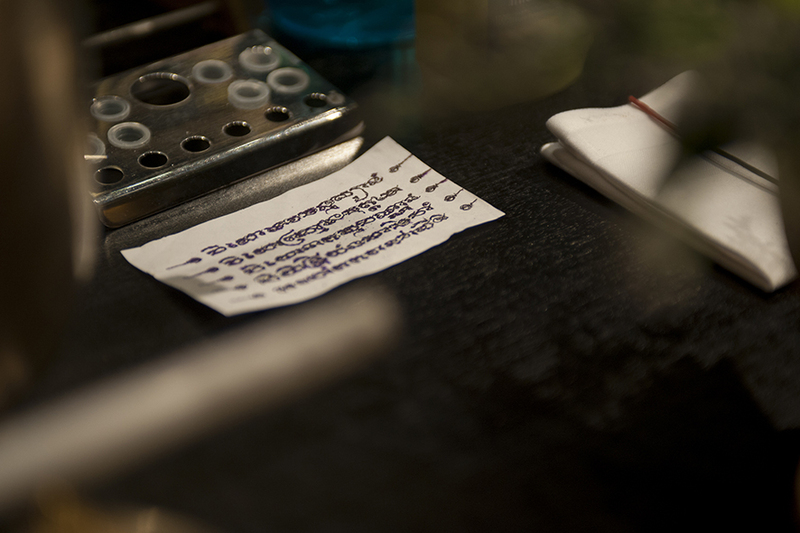 In Sak Yant, the ink is delivered into the skin using a traditional metal rod sharpened to a point. The tattoo master first dips the point into ink and then repeatedly jabs it into the skin by hand. 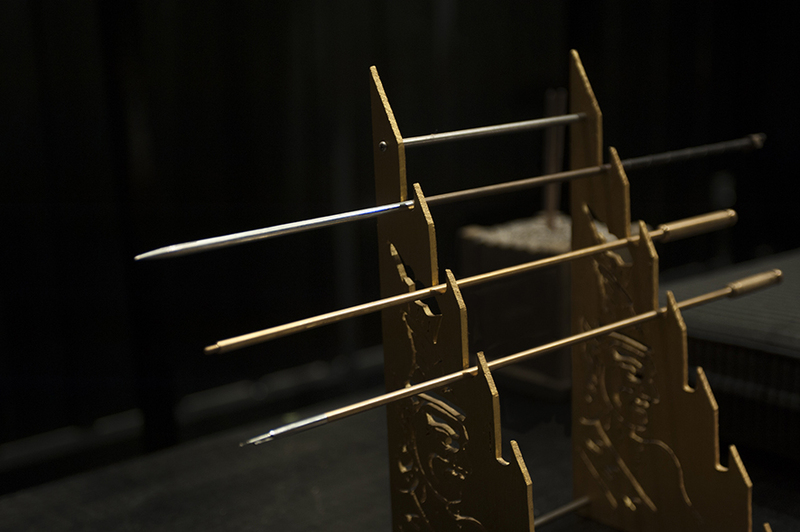 At The Siam, to ensure high standard of hygiene, a disposable needle tip on a shaft is used instead. The process can seem intimidating to most, so the tattoo master often recommends simpler designs to start with. But if you are ready for more blessing, he can certainly place more ink power into your skin.